Whether we’ve started one company or ten, worked solo or with a business partner, managed a few employees or a hundred — all of us have felt alone, and likely more than once. Entrepreneurship is a lonesome job; we’re required to hold a variety of positions and work long hours with little to no help, even if we have a business partner. Few people understand the kind of work we do. Our problems are unique, and therefore difficult to solve unless our supporters have been through them as well. I always knew running a business was tricky for this reason, but it never quite settled in until I saw it affect someone I loved. My uncle and mentor Edwin Juan ran a large roofing company in Hawaii for over two decades. He inspired me to start my first business Citrus Studios. The company was wildly successful, but my uncle was struggling. Personal conflicts and the usual business obstacles had him under constant stress, and he didn’t have a mentor or confidant to help him work things out. As his problems snowballed, my uncle began to feel more and more alone. Eventually, it all became too much, and in 2007, Uncle Edwin put his neck through a noose, stepped off the washing machine and hung himself in his garage. My cousin, his youngest son, found him. He had dried tears on his face. At first, I was confused and smug. I couldn’t understand why in the world my uncle, let alone anyone, as a matter of fact, could ever view suicide as the solution. Then, in 2008, the recession hit — and it flattened me. I realized how incredibly difficult it was to run one business in a collapsed economy, let alone three; by then, I was running Citrus Studios, Luxe Link, and The Waxing Co. I, too, began to feel stuck and alone. And for the first time, I understood what my uncle must have felt when he put the noose around his neck. I had friends and acquaintances who were entrepreneurs, but I didn’t have a specific support group I could go to when I was struggling. It was during this battle of sorts that I started to understand why my uncle had felt so hopeless and wanted to kill himself. In an effort to find the support my uncle had lacked, I started to seek out groups of entrepreneurs dealing with the very same struggles I did. In 2009 I found the Entrepreneurs’ Organization, the world’s only peer-to-peer network exclusively for entrepreneurs. I joined my local chapter — EO Los Angeles — and immediately realized how vital it was for me to be a part of a group that supported my journey. They help me grow personally, and professionally because they share from their own personal experience. We call that gestalt. I get experience shares around working with my spouse or raising capital for my newest start up Orange & Bergamot. 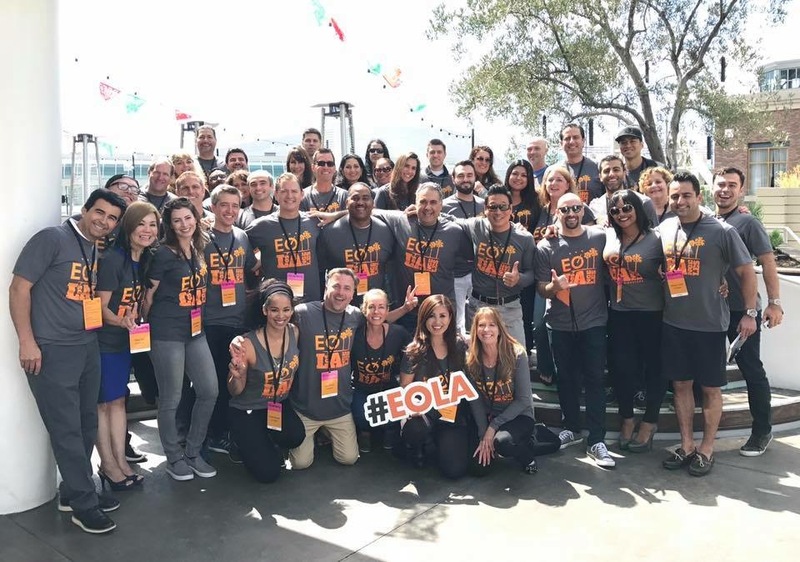 Over time, EO Los Angeles provided me what I now call my tribe: a group of people I relate with, pull energy from, and give back to. It’s a group of dreamers, builders, and architects of change who collectively celebrate the power of entrepreneurship. I can always rely on EO to support my inner and outer endeavors as an entrepreneur. They inspire me when I need that extra boost. The organization is my ohana now; my family. My only regret is that I didn’t find EO before I grappled with my own businesses. I believe that if my uncle had been a part of a tribe like EO, he would still be here today. A group of experienced and optimistic supporters is essential to every entrepreneur’s progress — and knowing what I know now, I think it would have saved him during the toughest moments of his life. The right tribe uplifts those who need it, just like my uncle did. It educates and supports entrepreneurs through every moment of their journey, both internal and external. It provides its members with a feeling of belonging. 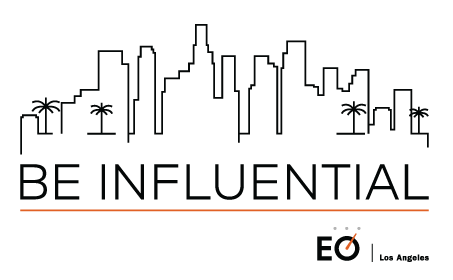 Today, I’m the President of EO Los Angeles. I now lead an incredible group of member leaders that helped support me back in 2009. I’m responsible for making sure one of EO’s 167 chapters in 52 countries runs smoothly, and to me, it’s just a way of giving back to the community I’m extraordinarily grateful to have found. I also previously served on the Board of Directors at the National Association of Women Business Owners, which helps women entrepreneurs find the resources they need to succeed and effect change. I hope that with my help, a few entrepreneurs with the same struggles I had will come out on top. With the number of entrepreneurial societies, organizations, and support groups that exist today, there’s a tribe out there for everyone. The right one will help you out of a pickle and give you the resources you need to accomplish your goals. It’s just a matter of going out and finding that tribe — hopefully before you really need it.